If you want to play co-op mode with your friends, then Battlefield 4 game is not the one you need. Today the developers have announced that there will be no cooperative mode in the new title of this famous series. This sad news has come today from the Twitter account of one of the game's developers, and right away has caused numerous displeased responses from devoted fans. Cooperative mode was one of the strongest sides of the previous game in this series - Battlefield 3 - but this year we should be thankful for small mercies. However, we will be able to experience usual Battlefield 4 multiplayer mode, as well as the single-player campaign. Battlefield 4 release date is scheduled for the autumn, 2013. There will be Battlefield 4 game for PC, Xbox 360 and PS3. Whether the game will be released for next-generation consoles, still remains unknown. 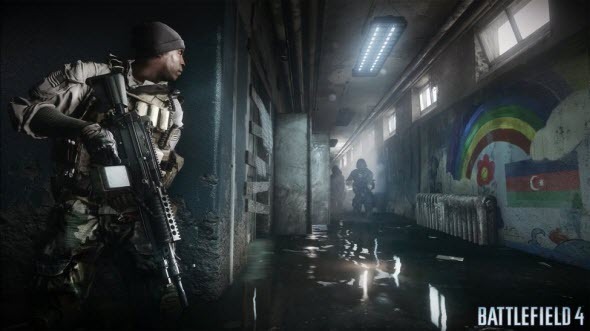 Are you waiting for Battlefield 4 game or you won't like it without cooperative mode? Let us know in the comments below!